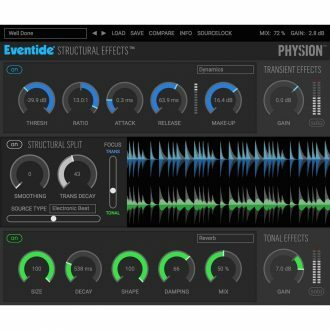 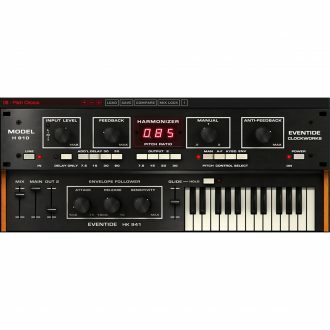 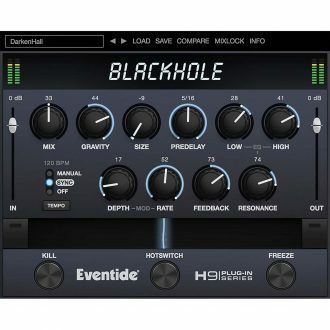 Over 450 presets, Available effects blocks, All delays and LFOs can be locked to system tempo, The filters are selectable band pass, high pass, and low pass with variable Q..
Supernatural settings for abstract spatial effects and drones, Subtle settings for ambient washes and track highlighting, Unique “Gravity” control reverses the arrow of time by inverting the reverb's decay, Kill Switch mutes the input so you only hear the reverb. 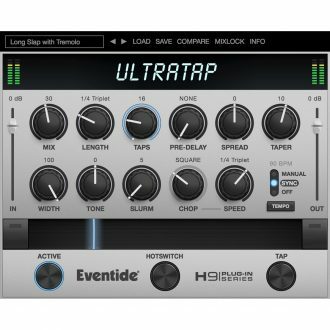 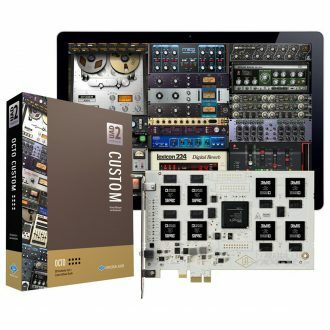 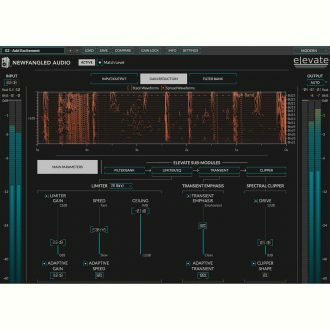 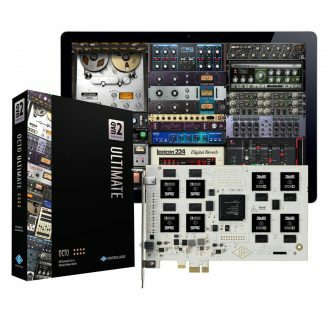 FlexiPath, Soft-Saturation and Transformer Emulation, O-Pressor, 5-Band Parametric EQ, Over 200 Presets, Micro Pitch Shift & Stereo Delays..
Analyzes and alters the gain, speed and transients of each filter band in real time, Includes presets by: APS Mastering, Matt Lange, Jeremy Lubsey, Eric Beam, ROCAsound, Chris Tabron and John McCaig, Automatically adapts the attack, release and look-ahead parameters for each filter band to greatly reduce "pumping" and breathing artifacts and perceived distortion. 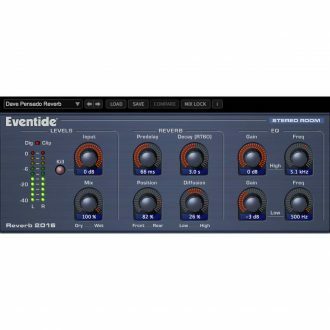 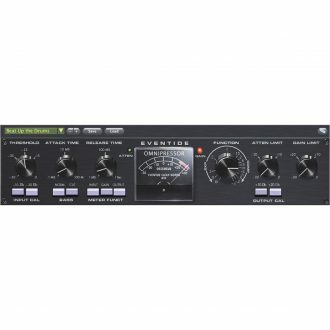 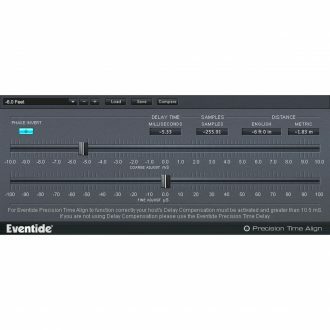 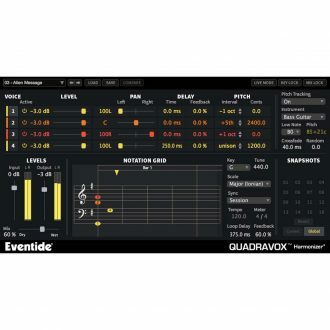 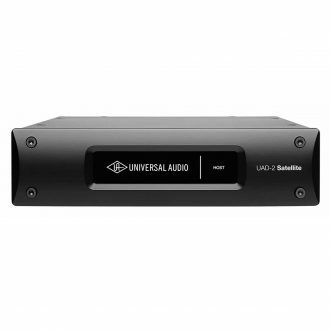 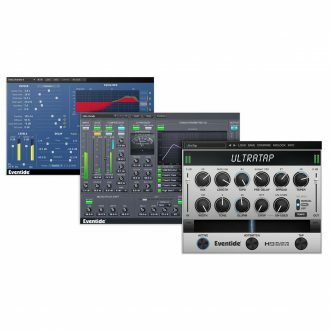 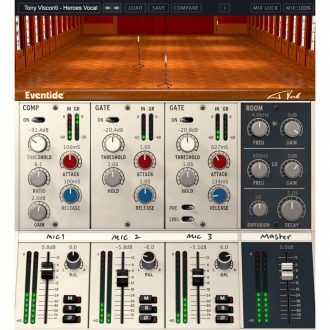 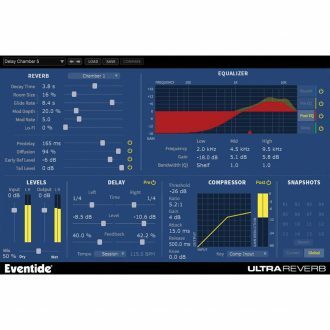 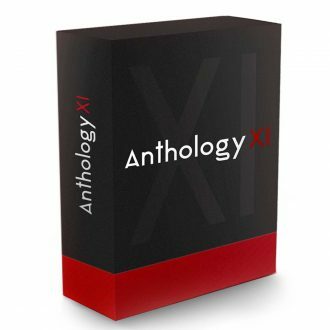 It features three of our most powerful plugins: UltraChannel, UltraReverb and UltraTap. 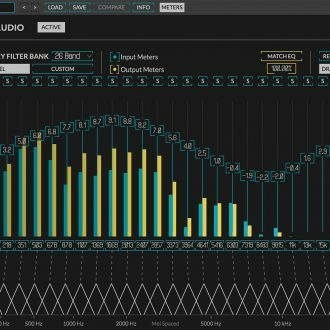 Solo the output of one or more bands to easily find problem frequencies, Add or remove filters to customize your sound, Use the output level Auto button to automatically compensate for level changes introduced by the EQ. 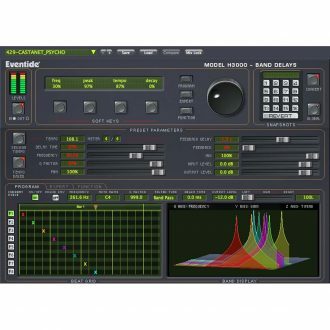 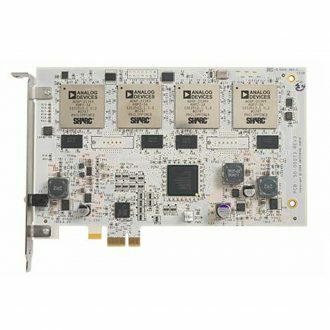 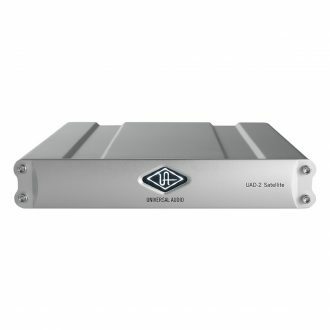 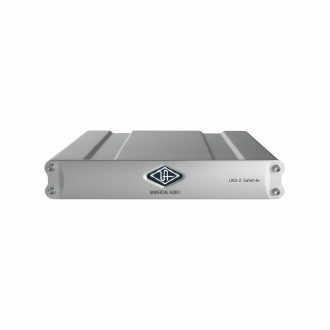 High Precision, Sub Sample Delay That Can Slide a Track Forward or Backwards in Time to Align Signals. 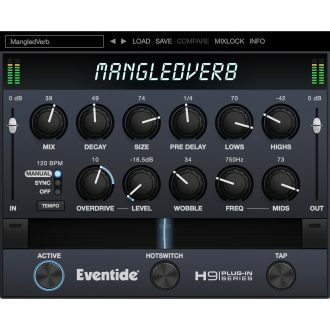 Smoothly move from Softclip distortion to Overdrive for ripping transitions., Use the Wobble control to create spooky detuning effects., Use The Ribbon control to easily manipulate multiple parameters in a live situation., Program the HotSwitch to instantly change multiple parameters at once. 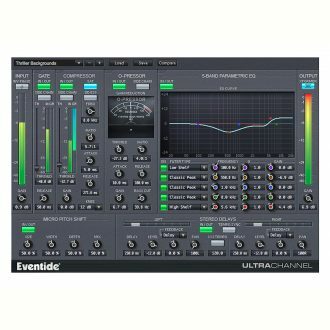 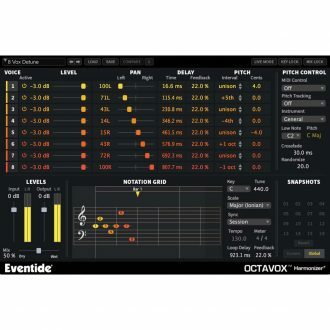 Control the stereo image of taps to alternate between hard-panned and mono, Sync the Length and/or Chop LFO speed to the DAW session, Use Mix Lock to scroll through presets while keeping the wet-dry mix constant.